By buying this product you can collect up to 176 loyalty points. Your cart will total 176 loyalty points that can be converted into a voucher of € 35,20. 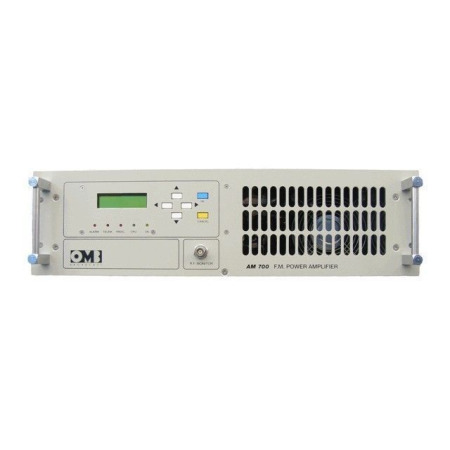 The AM 700 is a high-performance 700W FM amplifier, developed with MOSFET technology. It includes an elliptic LPF (Low Pass Filter) with high-attenuation in the harmonic frequencies and its sophisticated power supply unit with a DC-DC converter guarantees an optimal working with mains voltage fluctuations between 90 and 260V without output power variations. The most relevant parameters can be visualized in the LCD display: forward and reflected power, overdrive, module 1 current, module 2 current, power supply 1 voltage, power supply 2 voltage, etc. And the equipment also provides cyclical protection system to protect the amplifier against forward and reflected over-power, overexcitement, over-current, over-voltage and excessive temperatures. The 2 independent 375W amplifying modules are combined and mounted on a high-performance heat-sink, so that the transistors work in optimal thermal conditions even in really hot environments. 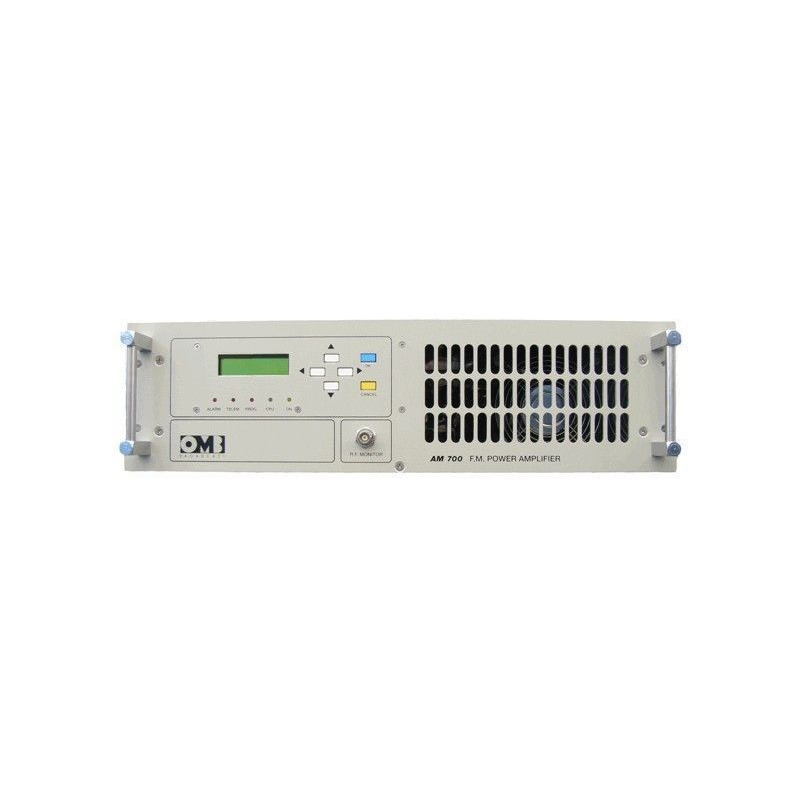 Furthermore, the AM 700 provides a telemetry output in order to get information about internal parameters of the amplifier. Reflected power (10% nominal power), over-consumption, temperature, power supply failure, overdrive, direct and reflected foldback.